I've been using a Chromebook since getting a CR-48 from Google a few years ago, and I love it. 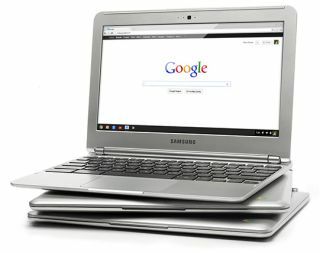 I am currently using a Samsung Chromebook, and our district is deploying over 5000 of them. The Chromebooks, and Chrome OS in general, are fast and work great, but every once in a while they can bog down when doing serious multitasking. Many only have 2GB of RAM and do not offer the ability to add more RAM physically. I found out about a great way to increase your memory by using zRam which uses swap space on your hard disk/SSD. Kevin C. Tofel shared this great resource that is very easy to do. Open up a terminal tab with the CTRL + ALT + T keys. Type “swap enable” (without the quotes). It's that easy. I did it and my Chromebook runs much smoother and faster and rarely bogs down, even with 15+ tabs open. Disabling it is easy too. Do all of the steps but type "disable" instead of "enable". Give it a try and see how it improves your Chromebook's performance. David Andrade is the Chief Information Officer for an urban school district in Connecticut. He spent 10 years as an engineer and then 10 years as a physics teacher and educational technology specialist before taking on his new job. He is the author of the Educational Technology Guy blog, where he reviews free educational technology resources for teachers, discusses ways to use technology to improve teaching and learning, and discusses other issues in education. He is also a professional development trainer and presenter at conferences, helping educators learn new and innovative ways to educate students.